Sprinklr, a social media management platform and Facebook Marketing Partner, announced recently that the company has raised a $46 million round of hiring — bringing total valuation to more than $1 billion. Existing investors Battery Ventures, Intel Capital and Iconiq Capital led the funding round. 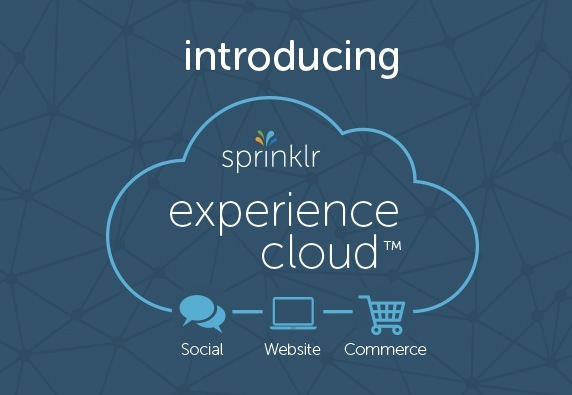 Sprinklr also launched the Experience Cloud, allowing brands to create, manage and deliver experiences across 23 social channels and brand websites. Launch clients for the Experience Cloud include Dell, McDonald’s, Prestige Brands, and Verizon. Global businesses are expanding from channel-centric and function-centric thinking in response to the increasingly connected customer. Neither point solutions nor disconnected cloud services will allow them to consistently deliver valuable customer experiences at every social touch point. Sprinklr’s Experience Cloud will allow large brands to collaborate and deliver enhanced customer experiences across social channels, brand websites, and internal silos to deepen relationships and drive business outcomes. Sprinklr has tripled in size in the past year and acquired four key companies — Dachis Group, TBG Digital, Branderati and Pluck. While many social technology companies have matured and leaders are emerging, we believe the market for customer experience management is still in the early innings and ripe for growth,. Sprinklr’s customer focus, engineering strength, and already proven execution are all factors that make me optimistic about the company’s potential to be a category leader.